This week, SampleRadar is taking you on a trip back in time to an era when the must-haves were Adidas tracksuits, Gazelle trainers, a huge boombox and your own roll of lino. Yes, we've entered the '80s, the era of the B-boy, electric boogaloo and the 808. The samples are split into five tempo-labelled construction kits, plus a bonus folder that contains beats, hits and robot vox. 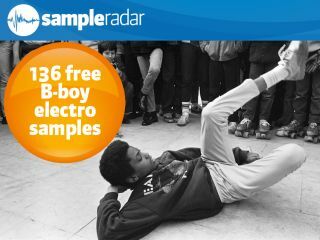 The B-boy electro samples are supplied in a zip file, so you'll need to extract them before you can see them. Enjoy!